I recently installed the new release of Windows Server, version 1709 on my Intel NUC, you can read about that here. I have installed Project Honolulu for remote server management on that server, but as this Intel NUC is usually located on my home lab network, I want to be able to publish and access the Honolulu website using Azure AD Application Proxy. As the Windows Server 1709 is Server Core, I need to install and configure the Azure AD Application Proxy Connector silently, and these are the steps I did to do that. Next we need to register the Application Proxy connector to Azure AD, and for that we need to run some PowerShell commands. There are two ways this can be done, with a Credential Object, or using an Offline Token. Using Credential is simplest, but has the drawback that you cannot use that method if your Global Administrator account is protected with Azure MFA. Lets look at both methods below. On the Server you want to register the Azure AD App Proxy Connector, start a PowerShell session and run the following commands for setting the Global Administrator user name and password, and then create a Credential Object. You can copy the PowerShell commands used above using the Gist linked at the end of this blog post. If you can’t or don’t want to use a credential object, you have to use a offline token. The following commands will get an access token for the authorization context needed for Application Proxy Connector Registration. Getting the Token can be run from any client, and then transferred to the server, but you will need to have the Azure Active Directory Authentication Library (ADAL) installed at the machine you are running the PowerShell commands. The easiest way to get the needed libraries installed is to Install the AzureAD PowerShell Module. PS! According to the official documentation, there are no description or examples for the mandatory parameter “Feature”, but I found that it accepts the value “ApplicationProxy” as used above. You can copy the above PowerShell commands from the Gist linked at the end of this blog post. So to recap, after installing the Application Proxy Connector silently on the Windows Server 1709, and then registering the connector, I can now verify in the Azure AD Portal that the connector is available for use. I can see it has a status of Active, from my home IP address, and I have already placed it in a Connector Group. I’m now ready to publish Azure AD Proxy Apps using this connector, and in my next blogpost I will publish the Project Honolulu management website using this! This entry was posted in Azure AD, Azure AD Application Proxy, Enterprise Mobility + Security, Windows Server 1709 and tagged Azure AD, Azure AD Application Proxy, PowerShell, Windows Server 1709 on February 19, 2018 by Jan Vidar Elven. The purpose of this blog post is to show a practical approach and some guidelines for publishing Azure AD App Proxy applications to guest users using Azure AD B2B. 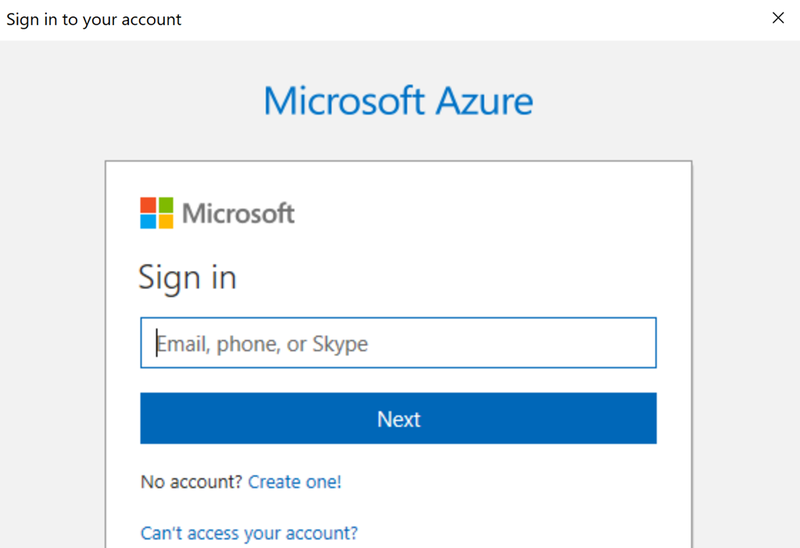 You have an on-premises AD and Azure AD Connect set up for synchronizing users and groups to Azure AD. You have published one or more Azure AD App Proxy applications. Your tenant is configured for allowing Azure AD B2B users and you have invited one or more guests. 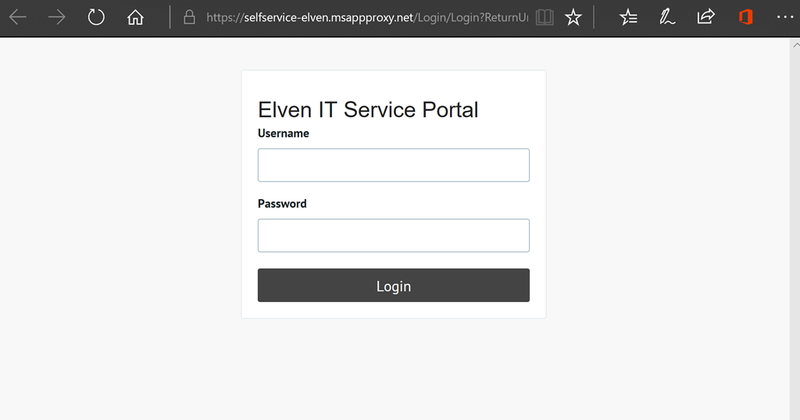 I will use my tenant elven.onmicrosoft.com, where I have configured a custom domain elven.no. 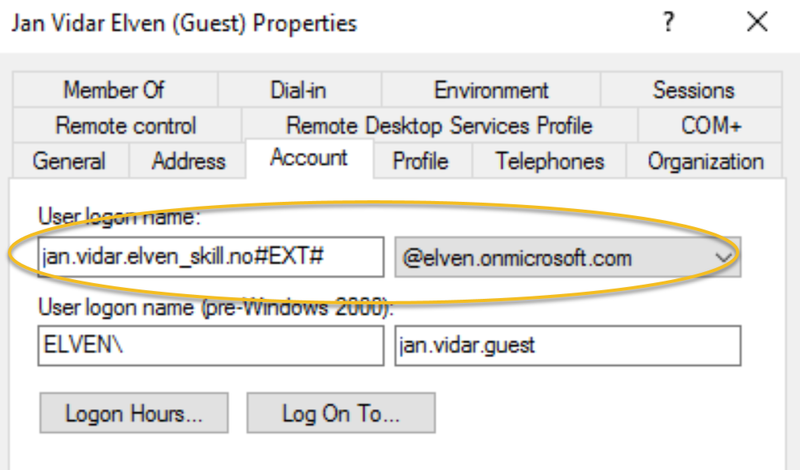 I have invited an external user: jan.vidar.elven@skill.no to the elven.onmicrosoft.com tenant. This user has accepted the invitation and can access resources that will be shared. 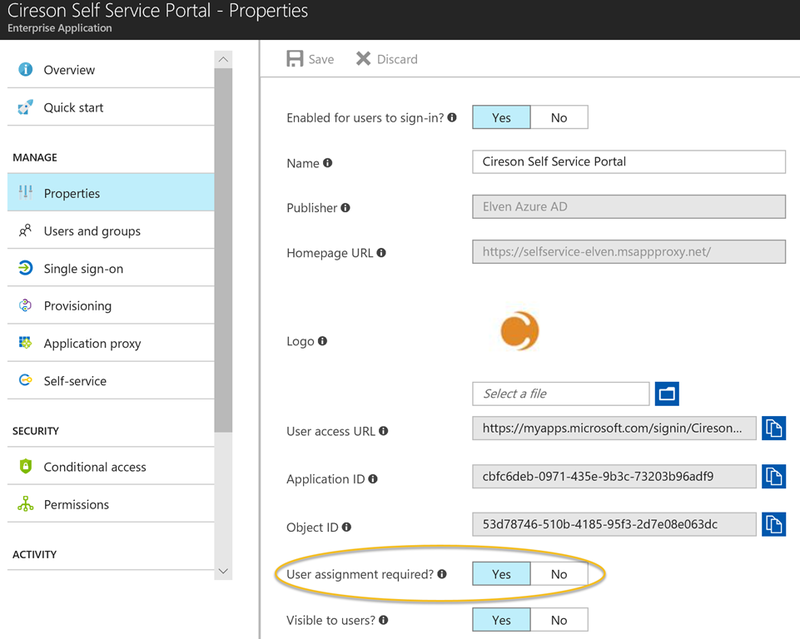 I have published some App Proxy applications, and in this scenario I will use Cireson Portal, which is a Self Service Portal for SCSM. 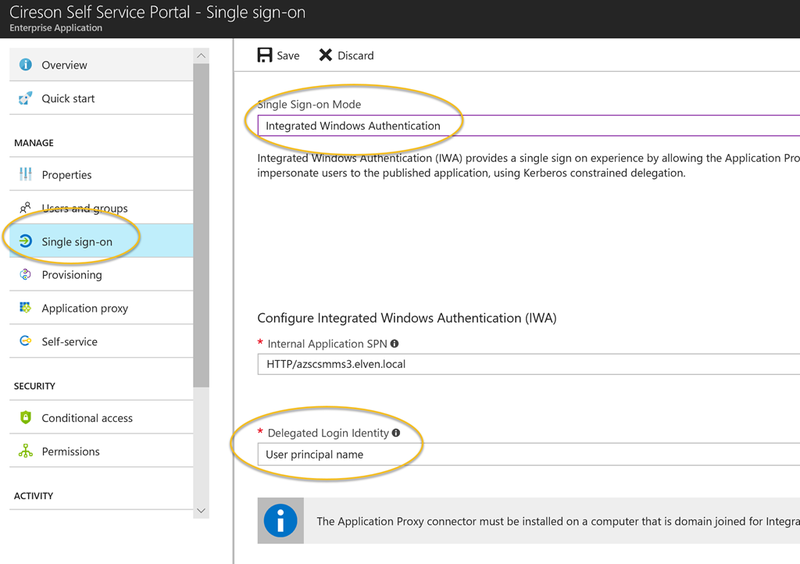 In this blog post I will use both single sign-on disabled with forms based authentication, and single sign-on with windows integrated authentication for this guest user, but lets first verify that the guest user can log on to my application panel. So lets start by adding this external guest to a published application without single sign-on and Windows Integrated Authentication enabled. 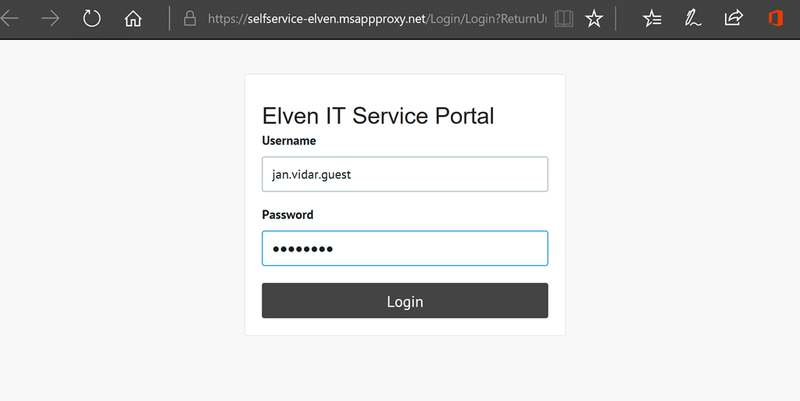 And my guest user can successfully get to the web application which now presents a user login form, which will require a on-premises AD user with access rights to the Cireson Portal. 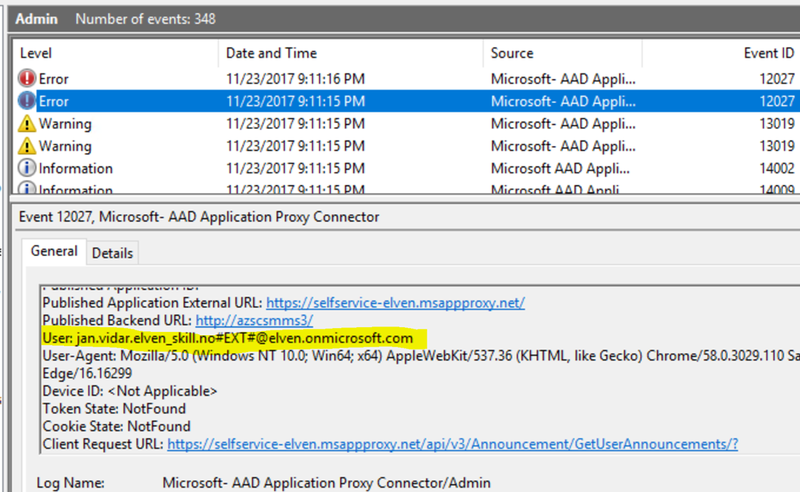 So far we have seen that an Azure AD B2B user can successfully launch an Azure AD App Proxy application, and in the next step log on with a local AD user with access to the application. I the next section we will see how we can provide single sign-on with Azure AD and Windows Integrated Authentication. PS! I will also change the Cireson Portal to use Windows Authentication before this next step! First I will need to change the settings for the Azure AD App Proxy application. Web Application Proxy encountered an unexpected error while processing the request. Error: The user name or password is incorrect. So now we have seen that we can successfully use Azure AD B2B Guests in an Azure AD Application Proxy published application scenario, with or without Single Sign-On, and that we require a link with the delegated identiy with a “shadow” user in the on-premises AD. This means, you have to enable the AD user account, but the password can be anything and don’t have to be shared with the external user. I have had some questions on how requiring MFA would affect guest users when accessing published applications, and decided to update the blog post on this. Target the policy to your guest users, for example by creating a group (assigned or dynamic) with all guest users in your tenant. 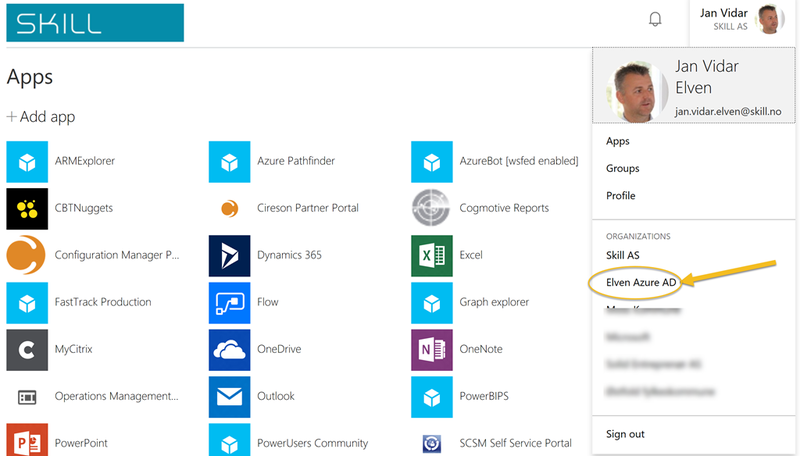 Target the policy to your selected published Azure AD App Proxy Apps. Setting the policy to require MFA. See notes under for license requirements for MFA and guest users. Although Azure AD B2B is a free feature, creating local users in Active Directory and accessing resources like web servers, database servers and any third party applications you publish are not free and you will have to check your licensing requirements. You shouldn’t synchronize your shadow guest users to Azure AD with Azure AD Connect. Using Azure AD Conditional Access for require MFA is an Azure AD Premium feature, so you need EMS E3 or Azure AD Premium P1 licenses. You can then use up to 5 Azure AD B2B guests per EMS E3/AADP1 license you own, in a 1:5 ratio. So for example if you internally have 100 EMS licenses, you can require MFA for up to 500 Azure AD B2B guests. This entry was posted in Azure AD, Azure AD Application Proxy, Azure AD B2B and tagged Azure AD, Azure AD Application Proxy, Azure AD B2B on November 23, 2017 by Jan Vidar Elven.